This column originally appeared on The New Republic's website Wednesday night. 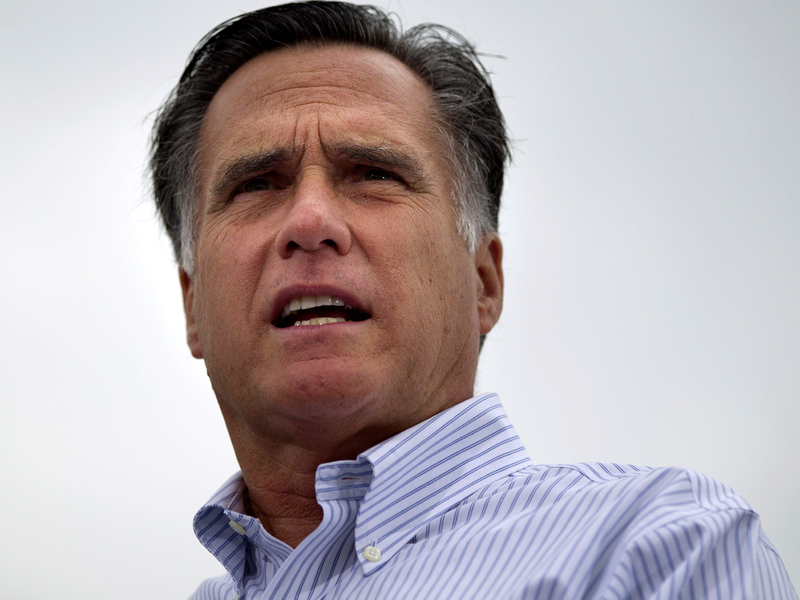 (The New Republic) Clearly, the Romney campaign's anti-Obama welfare ads have come at a cost. Given the way they have been condemned as false by even mainstream media sources -- as Alec MacGillis pointed out yesterday, Joe Scarborough has explained that he was "stunned" by the ads' demonstrable falseness -- the Romney camp has forfeited any hope of pivoting to the "high road" in response to future Obama attacks. But judging from the Romney campaign's relentless commitment to the welfare message (there have been multiple iterations of the ad over the past several weeks), Boston seems to believe it's working. Are they right? Certainly, the advertisements target the audience that Romney needs -- namely, white working class voters. It's harder to say whether the message will be as effective as they hope: It's been a long while since welfare's traditional ability to dredge up deep resentments has been tested on the national stage. Still, given the precariousness of Romney's position -- and, frankly, his willingness to push the envelope -- it's the smartest tactical move he's made yet. To win the presidency, Romney will need to consolidate nearly all of the undecided, predominantly white working class voters with reservations about Obama's performance. The problem is that the Obama campaign has long possessed a strategy to block Romney's path to victory: Depict Romney as an out-of-touch plutocrat bent on annihilating the middle class. In contrast, Team Romney hasn't really crafted a specific messaging strategy built to appeal to particular demographic groups. They've seemed to believe that generic ads criticizing the president will be sufficient to persuade voters with Obama reservations to join Romney's side. For the most part, though, these ads haven't moved the needle, in part because the president is already extremely well-known. Since the Romney campaign has invested heavily in these advertisements, we can assume that they test well in focus groups. The reasons aren't surprising: The attacks play on a deep sense of resentment with the benefits received by the "undeserving" poor. Some polls point toward an uptick in anti-assistance sentiment since the recession. According to relatively recent Rasmussen surveys, 71 percent say that too many people get welfare and 47 percent of adults think the government spends too much on poverty programs. Remember: These surveys were taken before the overwhelming majority of Americans have heard the accusation that Obama has gutted welfare reform. That skepticism about the deservingness of welfare recipients will likely go through the roof when voters are told (again, erroneously) that Obama scrapped the work requirement. Prior to welfare reform, voters were wildly dissatisfied with welfare, so we know that these arguments can turn welfare into a politically toxic issue for Democrats, as it was prior to Clinton's pledge to "end welfare as we know it." If Romney's ads produce feelings anything like those that hampered Democrats in the '80s, Obama would be in big trouble, as suggested by a Rasmussen poll showing 83 percent of voters supporting welfare's work requirement. But! Welfare has been off the national radar for nearly two decades. Two decades! Even if an ad plays on powerful underlying sentiments, is than enough to elevate an issue in the absence of sustained media attention? The advertisements provide completely new information to voters, so does that mean they have a larger impact because they're telling voters something they didn't know, or is their force blunted by the absence of external validation or sustained media coverage? The Obama campaign is also airing a response ad contesting Romney's assertions, which will likely lessen the force of Romney's attacks with Obama-leaning voters. On balance, there's no question that Romney's welfare message is much less powerful than it would be if it were accurate and consequently accompanied by news coverage. But that doesn't preclude the possibility that it could still make a bit of a splash. Nate Cohn is a staff writer at The New Republic. The opinions expressed in this commentary are solely those of the author.